California law protects whistleblowers, who are employees who report or refuse to participate in illegal activities in the workplace. In some cases, whistleblowers may bring a qui tam action under the California False Claims Act, while in other cases they may choose to simply report illegal activity or refuse to engage in it. If you are a whistleblower who believes your employer may have retaliated against you because of protected activities, you should consult a Los Angeles whistleblower attorney about whether you have a case. At Gallenberg PC, our team does not charge potential clients for an initial consultation. The best and fastest way to get a case evaluation is through our online form. 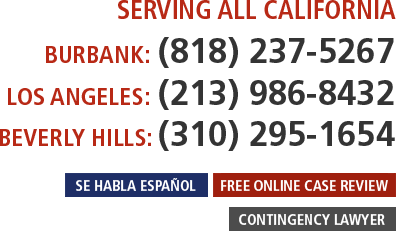 Alternatively, you can call us in Burbank at (818) 237-5267, in Los Angeles at (213) 986-8432, or in Beverly Hills at (310) 295-1654 to speak about your case. Federal and state laws protect whistleblowers from being retaliated against after they report a violation of law by an employer. Retaliation is any adverse employment action taken against an employee by the employer in response to the employee's whistleblowing activities. For example, if you disclose to the authorities that the hospital where you work is committing Medicare fraud, you would have protection against being fired or demoted by the hospital. In addition to the prohibition against retaliating against whistleblowers, California law prohibits employers from retaliating against employees who refuse to participate in violating a law or regulation. It also protects employees if they exercised their rights as a whistleblower in a prior job. California Labor Code Section 1102.5 is a general whistleblower statute that prohibits retaliation against employees who report a reasonable belief that there has been a violation of state, federal, or local laws. Under this law, an employer that retaliates against you because you are a whistleblower may be ordered to pay civil penalties of up to $10,000 per violation, and it also may be required to pay your lost wages, reinstate your benefits, and possibly pay damages related to harm to your reputation. California has several other statutes that protect whistleblowers as well. For example, Health & Safety Code section 1278.5 prohibits retaliation against medical staff, doctors, nurses, or patients who report illegal activity related to patient care in a health care facility to the government or accrediting agencies. Labor Code section 98.6 makes it illegal for employers to retaliate against employees who file complaints with the Labor Commissioner or DFEH. Labor Code 6399.7 makes it illegal for an employer to retaliate against an employee for filing a complaint related to occupational safety and health. There are also several federal statutes that prohibit whistleblowing. For example, the Sarbanes-Oxley Act of 2002 makes it illegal for an employer to retaliate against an employee of a publicly traded company for assisting an SEC investigation or for reporting a suspected securities law violation by the employer. In the past, California Labor Code Section 1102.5 prohibited retaliation by employers when an employee reported legal violations to government officials or the police. However, it has been amended so that employees who report illegal behavior internally to someone with authority within the company or externally to a public body that is investigating or conducting an inquiry are also protected. Employers and agents of an employer may not retaliate against an employee because they believe an employee may disclose information either internally or externally. California offers strong protections for whistleblowers. It may be appropriate to file a whistleblower or qui tam lawsuit against your employer if it is defrauding the government. A retaliation attorney also can assist you if you are facing mistreatment in the wake of blowing the whistle. Whether you are preparing to engage in whistleblowing or you have been terminated as a result of whistleblowing in your workplace, you should retain a knowledgeable Los Angeles whistleblower lawyer. Gallenberg PC represents employees throughout Southern California, including in Burbank, Beverly Hills, Pasadena, Santa Monica, Van Nuys, Glendale, Downey, and Inglewood. Call us in Burbank at (818) 237-5267, in Los Angeles at (213) 986-8432, or in Beverly Hills at (310) 295-1654. For the fastest response, submit our online form for a consultation.